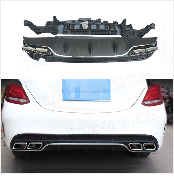 · Carbon Fiber & FRP Black Primer Unpainted Front Bumper Air Vent Outlet Fog Cover Trim. · Enhance the Overall Appearance of Your vehicle. 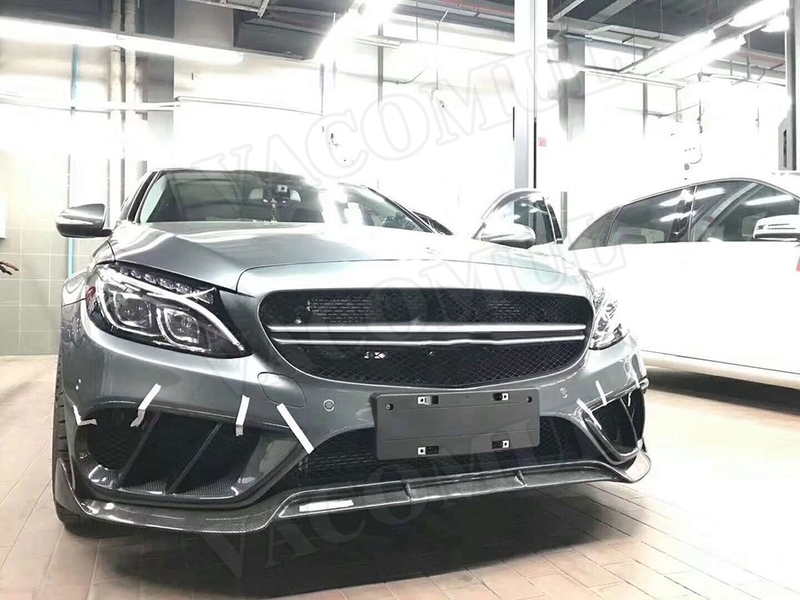 · Two material you can choose, 1. carbon fiber(You dont\'t need to paint) ; 2.FRP black primer unpainted(buyers need to paint by yourselves). · Sold as one Set/2 pieces. · Easy, Installation Process. With 3M tape or Glass glue for installation. · Packaing Carton box . Enhance the Overall Appearance of Your vehicle. Dress up your car with the addition of this product. These products enhance the overall appearance of the vehicle and give the impression. It\'s not all about appearance, It are also functional by protecting your car. 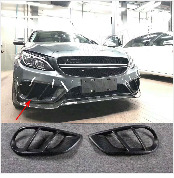 If you love your car and want to avoid bumper in parking lots, these are a very good solution. 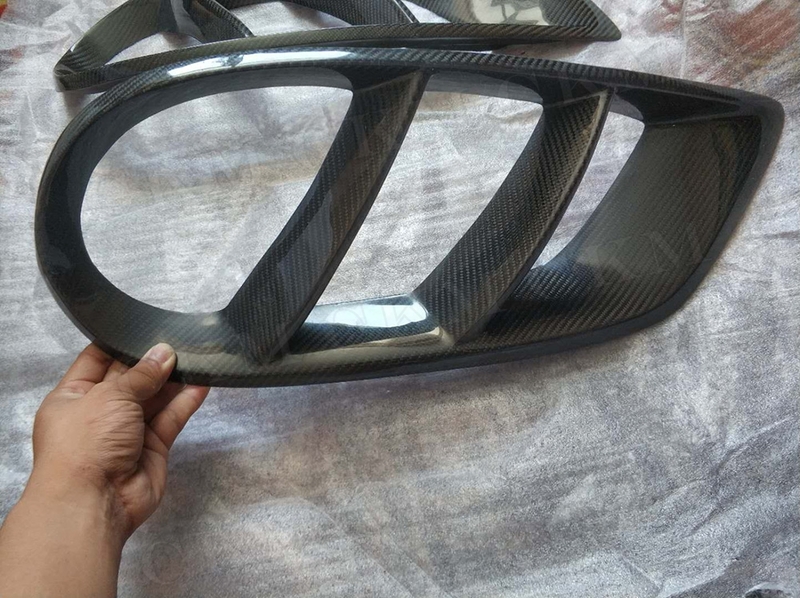 Carbon Fiber Construction.Carbon Fiber products is manufactured with hi-temp, hand-laid carbon fiber material,it has a marine clear-gel coat with UV protection to keep it durable. If you are not sure this products is fit your car, you can send your car pictures to contact us to check the fitment. Fitment : If you are not sure about your car\'s fitment, pls contact us first before bid. Installation:If you are not sure how to install the item, you can take it to your local car modify shop to install it. Taxes: The Order amount does not contain the Customs taxes,buyer is responsible for paying taxes according to local Customs taxes. (If customer signed the broken item, you need to payment the return shipping cost, and then we will send you a new item). If you have any problems,please feel free to contact us,we will solve the problems in one working day. If you are not satisfied, pls contact us firstly before you open a dispute. If you are happy with our products, pls give us 5 Star feedback.